Last night I attended a performance of the play Ready or Not written by John Enright and produced by Barely Concealed Productions at the Dream Theatre. It is an entertaining romantic comedy with suspense, humor and love interests. It is filled with sufficient twists and turns to keep surprising you until the very end. The story begins with the return of Eddie Brennan, after a year in a Mexican jail, to his home and wife, Susan. Tom McGrath and Danielle Gennaoui were both excellent in the roles of Eddie and Susan. It is when Eddie finds out that Susan is planning to leave him for his co-worker Kyle McCormak the plot begins to unfold and the suspense builds right up to the end keeping the audience in suspense as to the outcome. The arrival of Norma Vasquez, a Mexican friend and colleague of Eddie, adds to the interpersonal complexities as they develop on the stage. I found the performances of both Tamika Morales as Norma and Jeremy Menekseoglu as Kyle were particularly effective and convincing. Under Jeremy's direction the play moved at a perfect pace that kept me enthralled throughout the evening. I enjoyed the word play and the attention to detail that was evident in the production. This is an intelligent play that treats serious issues with a light touch (I must give credit to my friend Joe Plauche for that last thought). As a regular theater attendee I both appreciate and enjoy a play when it makes me think. This play did and it made for a great evening of theater for me and one I would recommend to all. "In a game of seduction never fall in love." 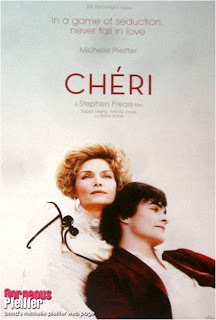 Last night I viewed the Stephen Frears' film Cheri. It was a beautiful adaptation of the novels Cheri and Le fin de Cheri by Colette. Capturing the beauty of the "Belle Epoque" Frears had the help of Michelle Pfeiffer who looked younger than her real age as the aging Courtesan Lea de Lonval. Pfeiffer and Kathy Bates as Madame Peloux, the mother of Cheri, are excellent in their roles. Cheri is played well by a photogenic Rupert Friend who I have previously seen as Joan Plowright's young friend in Mrs. Palfrey at the Claremont (a film I would also highly recommend). I must also recommend the musical score for Cheri by Alexandre Desplat who has won awards for several of his previous film scores including The Queen and The Beat that my Heart Skipped (another of my favorite films). Overall this film version of Colette's novels is a delightful film that I enjoyed so much I will probably see it again. 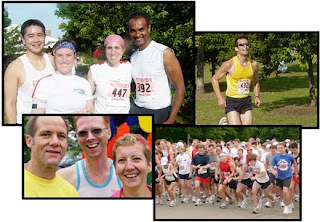 This morning at 8.04am I participated in the annual "Proud to Run" 5K. It is part of the Gay Pride week festivities that lead up to the parade on Sunday. It was a perfect morning for a run, temperature in the seventies with a nice breeze off the lake at Montrose Harbor. My friends Kyle and Kathy Tschaen joined me before the race as they were participating in the 10K section. As they say, a good run was had by all, and even though Kyle did have an aching Achilles tendon he made it through with 'legs' to spare. After the race we watched "The Righteously Outrageous Twirling Corps" strut their stuff to appropriately gay music. They were delightfully outrageous in a very disciplined and entertaining way. Most of the rest of my day will be relaxing the aching muscles of my lower extremities and remembering the fun that made the aches worthwhile. 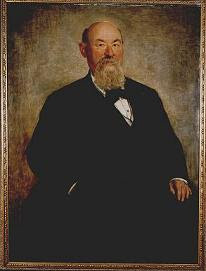 The composer and conductor Franz von Suppé (born in Spalato, Dalmatia on April 18, 1819, died in Vienna on May 21, 1895) is famous today mainly for his opera overtures which are generally considered "light classics". A distant relative of Gaetano Donizetti, he was named Francesco Ezechiele Ermenegildo Cavaliere Suppé-Demelli at birth, he simplified and Germanised his name when he moved to Vienna. Suppé's first extant composition is a Roman Catholic Mass, premiered at a Franciscan church in Zara. He moved to Padua to study law at the University there. His father chose this direction for him, but he continued to study music furtively. Upon the death of his father, he moved to Vienna where he studied with Ignaz Seyfried and Simon Sechter. He conducted at the Josephstadt theatre, without pay at first, but with the opportunity to present his operas there. 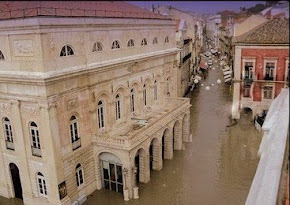 Eventually, Suppé wrote music for over a hundred productions at Josephstadt as well as at Leopoldstadt, at the Theater an der Wien (perhaps the most prestigious), and a theatre at Baden. He also put on some landmark opera productions, such as the 1846 production of Meyerbeer's Les Huguenots with Jenny Lind. Suppé was also a singer, making his debut in the role of Dulcamara in Donizetti's L'Elisir d'Amore at the Ödenburg theater in 1842. Two of Suppé's comic operas have been performed at the Metropolitan Opera in New York, Boccaccio and Donna Juanita, but they failed to become repertoire works. Though the bulk of Suppé's operas have nearly sunken to oblivion, the overtures, particularly Light Cavalry and Poet & Peasant, have survived and some of them have been used in all sorts of soundtracks for movies, cartoons, advertisements, etc., in addition to being played at "pops" concerts. The operas are occasionally performed in Europe, and Peter Branscombe, writing in the Grove dictionary, characterises Suppé's song Des ist mein Österreich as "Austria's second national song". My own favorites are The Beautiful Galatea which highlights a beautiful waltz melody and Morning, Noon and Night in Vienna which has a pastiche of melodies that suggest the Viennese artistic milieu. After retiring from conducting, Suppé continued to write operas, but shifted his focus to sacred music. He also wrote a Requiem for theater director Franz Pokorny, three Masses, songs, symphonies and concert overtures. A poet, novelist, dramatist and biographer, Stephan Zweig (1881-1942) was a brilliant writer, documenting both historical lives and his own. During the First World War he took a pacifist stand together with French writer Romain Rolland, summoning intellectuals from all over the world to join them in active pacifism, which led to Romain Rolland being awarded the Nobel Prize for Literature. 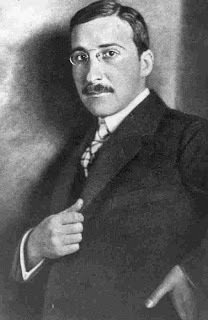 Zweig remained pacifist all his life - but also advocated the unification of Europe before the Nazis came. Like Rolland, he wrote many biographies including lives of Balzac, Nietzsche and Rolland. He described his Erasmus of Rotterdam as a concealed autobiography. Zweig fled Austria in 1934, following Hitler's rise to power in Germany. He then lived in England (in Bath and London) before moving to the United States. Of his non-fiction The World of Yesterday is his personal memoir of growing up in fin de siecle Austria and the early years of the twentieth century. Written the year before he died, the book is a testament to his life, a life of the mind and a life of letters. It is a paean to the European culture he considered lost. As such it is a great source if you desire and understanding of that period of European cultural history. In 1941 he went to Brazil, where in 1942 he and his second wife Lotte (née Charlotte Elisabeth Altmann) committed suicide together in Petrópolis, despairing at the future of Europe and its culture. "I think it better to conclude in good time and in erect bearing a life in which intellectual labour meant the purest joy and personal freedom the highest good on Earth," he wrote. When Johann Wolfgang Goethe was only 24 years old he wrote this epistolary novel. It quickly became the best-seller of 1774 and swept across Europe inspiring fashion fads and more. I'm not sure what they saw in this novel for it has lost some of its appeal over the years. 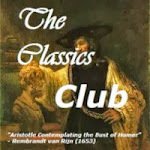 It is well-written with some beautiful passages of prose, but it is basically the story of one character, Werther, who writes letters to his friend William, but they seem to be aimed at the reader of the novel. His interests are often somewhat uninteresting and his passion for Lotte is difficult to appreciate. However, given that he has a passion, he is doomed as she already has a lover and is married to him fairly soon into the story (it only covers about a year and a half of Werther's life). 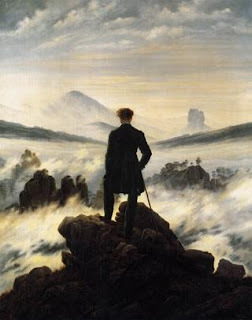 Goethe would go on to write some of the greatest poetry, drama (Faust), and travel literature ever written in German. His complete oeuvre is impressive. So for a twenty-four year old writer, this novel is impressive also. The Sorrows of Young Werther by Goethe. Trans. by Burton Pike. Modern Library. (1774). 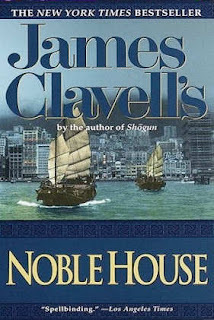 James Clavell wrote many classic books including King Rat, Shogun and Noble House among others. He died in 1994 and his book Gai-Jin was his last book. Other books include Whirlwind and Tai-pan, and he also was noted for the screenplays he wrote both for films based on his books and other films (notably To Sir With Love, The Fly and The Great Escape). Noble house has become one of my favorite novels. This historical novel that is part of Clavell's "Asian Saga" contains large quantities of the Seven Deadly Sins, with avarice and lust leading the way. The story is set in mysterious Hong Kong in 1963, with its beautiful women, wealthy men, cultural clashes, and fascinating intrigue. A longtime feud between two of the largest financial houses revolves about Struan's - the Noble House - and its battle for economic survival. The plot is further complicated by the arrival of an interloping American power broker and his voluptuous assistant who plan to use the bad blood for their own financial gain. In the background the disenfranchised Chinese watch with great interest and hope to reap huge profits as the Europeans try to outwit each other. The story is about its dealings with its many competitors. It combines a good amount of fiction, legend and big business and produces a great novel. The struggle between the two great houses sets up the conflict that any great piece of fiction requires. The reader is placed into a world that no longer exists - doubly so since Hong Kong has been returned to Chinese control. It is a world where Tai-Pans - heads of large companies battle each other for money, power and survival. This is international gamesmanship at its highest level with no holds barred. Add gunrunning, opium smuggling, political intrigue, natural disasters, and riots, and the story keeps rolling along. Of note is the importance of the context of history with many of the plotlines drawing on international tensions that existed or were on the horizon in 1963. Hong Kong itself sets the backdrop for the novel and in the end its Hong Kong the affects the outcome of the struggle. The book is as fast-paced as any I have ever read and reminds me of the sort of Romantic swash-buckling adventures of Dumas and Sabatini. If you haven't read a James Clavell novel start with this one or Shogun. I’ve always admired my friends who are wide readers. A few even pride themselves on never reading a book a second time. I’ve been a wide reader at times. When I was much younger, I spent nearly a year in the old Reading Room of the British Museum, discovering in the book I was currently reading the title of the next I would read. But at heart, I’m a re-reader. The point of reading outward, widely, has always been to find the books I want to re-read and then to re-read them. In part, that’s an admission of defeat, an acknowledgement that no matter how long and how widely I read, I will only ever make my way through a tiny portion of the world’s literature. (The British Museum was a great place to learn that lesson.) And in part, it’s a concession to the limits of my memory. I forget a lot, which makes the pleasure of re-reading all the greater. The work I chose in adulthood — to study literature — required the childish pleasure of re-reading. When I was in graduate school, once through Pope’s “Dunciad” or Berryman’s “The Dream Songs” was not going to cut it. A grasp of the poem was presumed to lie on the far side of many re-readings, none of which were really repetitions. 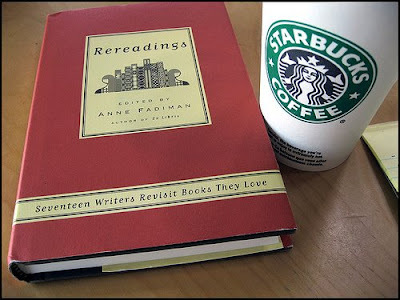 The same is true of being a writer, which requires obsessive re-reading. But the real re-reading I mean is the savory re-reading, the books I have to be careful not to re-read too often so I can read them again with pleasure. It’s a miscellaneous library, always shifting. It has included a book of the north woods: John J. Rowlands’s “Cache Lake Country,” which I have re-read annually for many years. It may still include Raymond Chandler, though I won’t know for sure till the next time I re-read him. It includes Michael Herr’s “Dispatches” and lots of A.J. Liebling and a surprising amount of George Eliot. It once included nearly all of Dickens, but that has been boiled down to “The Pickwick Papers” and “Great Expectations.” There are many more titles, of course. This is not a canon. This is a refuge. He shattered you on his knees. In the way of a Personal God. — from "The Personal God," a poem in The Book of Repulsive Women, by Djuna Barnes, born on this day in 1892. Through her father and grandmother, Barnes gained a great appreciation of and dedication to the arts (the Barnes home was often frequented by such artistic greats as Jack London and Franz Liszt). Barnes did not have a formal education because her father believed that the public school system was inadequate, and thus felt he felt that home schooling was much more beneficial. Her only formal schooling came after she left the home and moved to New York City. In 1912 Barnes enrolled as a student at Pratt Institute (1912-13) and the Art Students League (1915-16). While at Pratt, she began her writing career as a reporter and illustrator for the Brooklyn Eagle. Barnes' first published her poetry in 1915 as a collection of "rhythms and drawings" entitled The Book of Repulsive Women; four years later three of her plays were produced by the Provincetown Players. In 1923, Barnes published a collection of lyrical poems, stories, drawings, and one-act plays which she entitled, simply, A Book. In 1921, Barnes was sent to Paris by McCall's as a correspondent and wrote articles for such magazines as Vanity Fair, Charm, and The New Yorker; she stayed for almost twenty years. While in France, she was heavily immersed in the modernist scene in Paris where she befriended such beneficial patrons as Natalie Barney and Peggy Guggenheim. This circle of women, which included writers such as Mina Loy, Janet Flanner, Dolly Wilde, and Gertrude Stein, became known as 'The Academy of Women.' (These days they are referred to as "The Literary Women of the Left Bank.") Barnes wrote a satirical work, Ladies Almanack, about this salon and the women who were a part of it. Her second novel, Nightwood (1936), is her masterpiece of which T.S. Eliot praised its style. Having read it several years ago, I also was impressed with its singular modernist style more than the content. 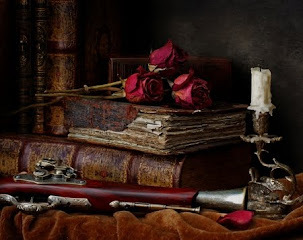 It is the sort of book you do not forget easily even though it is hard to describe. However, the one thing which critics are not divided upon is the large sphere of influence that Barnes had upon other writers of her era. She is often compared to Joyce, Pynchon and Nathaniel West and the circle of her influence reaches out to include Truman Capote, William Goyen, Isak Dinesen, John Hawkes, and Anais Nin. Along with Nathaniel West she has been identified as one of the originators of "Black Comedy". When she returned to the United States, she wrote little and lived a reclusive life in her apartment on Patchin Place in Greenwich Village, where she died in 1982. Apart from the notoriety of her bohemian lifestyle and radical views, Barnes became "the unknown legend of American literature" (her description) on the basis of her cult lesbian novel, Nightwood, and for her poetry and artwork. She was also known for her sensationalist journalism and off-beat interviews. Nightwood by Djuna Barnes. New Directions. 2006 (1936). With ease - and You - beside..."
There are minds and there is Mind. Molded by the sands of time to form the destinies that guide the masses. Flow to the music of the will of the majority. Choose to use their mind to change the course of the river. Robert Schumann was born on this day in 1810 (died 1856) and was a German composer, aesthete and influential music critic. He is one of the most famous Romantic composers of the 19th century. He had hoped to pursue a career as a virtuoso pianist, having been assured by his teacher Friedrich Wieck that he could become the finest pianist in Europe. However, a self-inflicted hand injury prevented those hopes from being realized, and he decided to focus his musical energies on composition. Schumann's published compositions were all for the piano until 1840; he later composed works for piano and orchestra, many lieder (songs for voice and piano), four symphonies, an opera, and other orchestral, choral and chamber works. His writings about music appeared mostly in the Neue Zeitschrift für Musik ("The New Journal for Music"), a Leipzig-based publication that he jointly founded. In 1840, after a long and acrimonious legal battle with his piano instructor (Wieck), Schumann married Wieck's daughter, pianist Clara Wieck, who also composed music and had a considerable concert career, including premieres of many of her husband's works. He died in middle age; for the last two years of his life, after an attempted suicide, he was confined to a mental institution at his own request. Among my favorites of his works are the Kreisleriana (1838), a fantasia for piano that was one of Schumann's greatest works. Johannes Kreisler, the fictional poet created by poet E. T. A. Hoffman who is limned as a "romantic brought into contact with reality", was appropriated by Schumann who utilized him as an imaginary mouthpiece for the sonic expression of emotional states, in music that is "fantastic and mad." Another even greater work was the Fantasia in C, Op. 17, written in the summer of 1836, a work of passion and deep pathos, imbued with the spirit of late Beethoven. I also particularly enjoy his Piano Quintet in E flat (1842), and his four symphonies which were all written in the decade between 1841 and 1851. Much of his music reflects the two contrasting sides of his personality to which he gave the names "Florestan" and "Eusebius"; each depicts an aspect of his personality, the first being more flamboyant and the second more controlled. Overall he was the most romantic of the early Romantic composers. The power of love was seldom greater than expressed in this sonnet. Starting with the phrase "Haply I think on thee," the sonnet soars and lifts this reader to an emotional high by the final line. I cannot help being moved tremendously every time that I read this sonnet. I attended a performance of Shakespeare's play Measure for Measure produced by the Promethean Theatre Ensemble Saturday evening. It was a lively and sometimes effective production of a difficult play that is considered one of Shakespeare's "problem" plays. Ostensibly a comedy (his last), but filled with more serious themes such as the nature of justice and the appropriate relations of married and unmarried men and women turning on the question of what and when sexual relations should be engaged in. 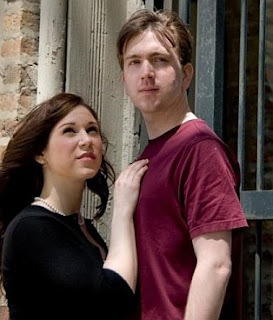 The main characters, the Duke, Angelo, Claudio and Isabella were effectively portrayed by Robert Tobin, Brian Pastor, Zach Clark, and Beth Wolf, respectively. The most appealing character was Lucio, described by Shakespeare as a "fantastic," a flamboyant bachelor who provides much of the play's comedy. He is a friend of Claudio, and tries to help him. He is a bawdy gentleman, but beneath his comic veneer he has a darker side, and was outstanding as played by Nick Lake. I also was impressed by the ability of Tyler Rich to effectively portray five different minor characters, giving each a distinctive personality. As I mentioned this is a difficult play to effectively mold into a coherent whole. This production succeeded more often than not and the acting was sometimes outstanding. The result was an enjoyable evening of Shakespeare on the stage at the City Lit Theater. 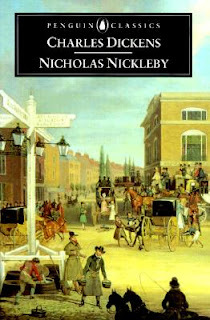 My reading of Dickens novels has started once more, this time with Nicholas Nickleby, his third novel. He began writing this simultaneously with the last installments of Oliver Twist just as he had begun Oliver while he was still writing Pickwick Papers. Dickens was full of energy and at all of twenty four years of age it is not surprising that he could handle the novel-writing along with some editing duties and forays into the theater that he loved to do. In Nicholas Nickleby we find Dickens consolidating his approach in the two previous novels, returning to some of the humor found in Pickwick while continuing the social criticism begun in Oliver Twist. 'Put my hat down,' said Ralph, imperiously. 'Well, ma'am, how do you do? chair, and surveying his nephew from head to foot with intense scorn. I look forward to the experiences of Nicholas at Mr. Wackford Squeer's Academy, Dotheboys Hall where he will be assisting Mr. Squeers. His education will be immediate and jolting to his refined character. Likewise his sister will find changes as she takes a position with a dress-maker. The story begins. Nicholas Nickleby by Charles Dickens. Penguin Classics. 2003 (1839). The British novelist Barbara Pym was born on this day in 1913 in Oswestry, Shropshire. She was privately educated at Huyton College, near Liverpool. After studying English at St Hilda's College, Oxford, she served in the Women's Royal Naval Service during World War II. Her literary career is noteworthy because of the long hiatus between 1963 and 1977, when, despite early success and continuing popularity, she was unable to find a publisher for her richly comic novels; then, just three years before her death by cancer at age sixty-six, sudden rediscovery and international fame for being "a twentieth-century Jane Austen." The turning point for Pym came with an influential article in the Times Literary Supplement in which two prominent names, Lord David Cecil and Philip Larkin, nominated her as the most underrated writer of the century. Pym and Larkin had kept up a private correspondence over a period of many years. Her comeback novel, Quartet in Autumn, was nominated for the Booker Prize. Another novel, The Sweet Dove Died, previously rejected by many publishers, was subsequently published to critical acclaim, and several of her previously unpublished novels were published after her death. 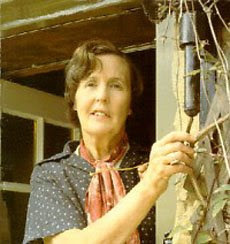 Barbara Pym died of breast cancer, aged 66. Following her death, her sister Hilary continued to champion her work, and the Barbara Pym Society was set up in 1993. The sisters are both buried in Finstock churchyard. Several strong themes link the works in the Pym "canon", which are more notable for their style and characterization than for their plots. She is part of a tradition that may be traced back to Jane Austen or, more recently, Elizabeth Bowen among others. A superficial reading gives the impression that they are sketches of village or suburban life, and comedies of manners, with excessive significance being attached to social activities connected with the Anglican church (in particular its Anglo-Catholic incarnation). However, the dialogue is often deeply ironic, and a tragic undercurrent runs through some of the later novels, especially Quartet in Autumn and The Sweet Dove Died. The latter is my personal favorite with its rich characters including Leonora Eyre, an attractive and elegant, but essentially selfish, middle-aged woman. She becomes friendly with antique dealer Humphrey Boyce and his nephew James. Both men are attracted to Leonora, but Leonora prefers the young, good-looking James to the more "suitable" Humphrey. While James is away on a buying trip, Leonora discovers to her annoyance that he has been seeing Phoebe, a girl of his own age. Leonora makes use of Humphrey to humiliate Phoebe, and turns out a sitting tenant in order that James can take up a flat in her own house. She does this in an apparent attempt to control his life. While abroad, the bisexual James has begun a relationship with an American, the amoral Ned, who later follows him to London. Ned pries James out of Leonora's grasp, only to reject him for another lover. James attempts a reconciliation with Leonora, but she refuses to give him a second opportunity to hurt her, and settles for the admiration of the less attractive Humphrey. As with all Pym's fiction, the novel contains many literary references, notably to works by Keats, John Milton and Henry James. Another favorite of mine, and much more in the comic vein, is the delightful Crampton Hodnet which has Oxford as its setting, a plus. All of Pym's oeuvre is consistently readable and I would recommend her novels to all. The Sweet Dove Died by Barbara Pym. Moyer Bell. 2003 (1978). Crampton Hodnet by Barbara Pym. Moyer Bell. 2000 (1985). The Path to Enlightenment, or how to overcome Frustration. if you will succeed or not. I can only give you any guarantee. 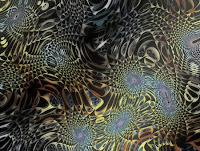 on your very personal Path to Enlightenment. the degree with honors, your successful career - all meaningless. that rests in your hands - gimcrack. You have wasted all your time. the absolute Present. Local time at destination: zero hours. the absolute Nothingness. You are building up quite some capital here. Step four. Compare yourself with anybody and everybody you can find. They have been more successful? They have gathered more wealth than you? with our cramped toes. We are untouchable. 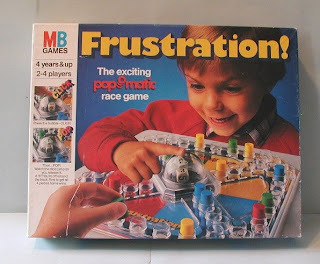 Beyond frustration. Beyond comparison. I plan to think about these thoughts (rants?). Perhaps the comments are a touch ironic, perhaps a bit histrionic, but worthy of consideration in the battle against frustration.